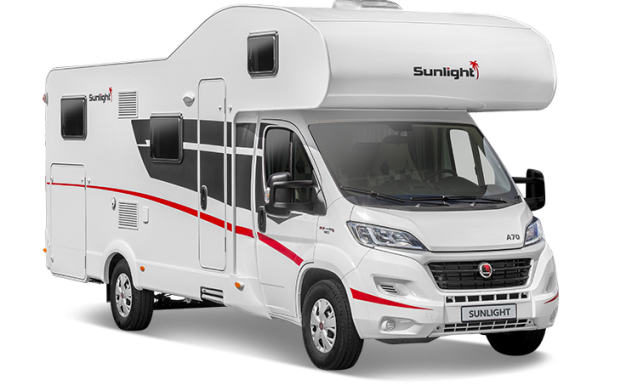 With the A70 6 berth motorhome you can sleep comfortably in the large double bed above the driver’s cab or fixed double at the rear of the van. 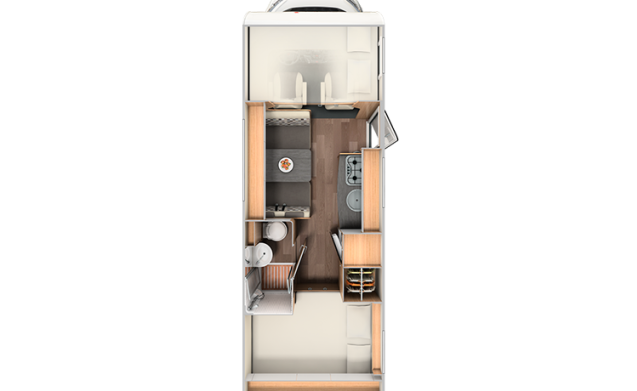 The A70 also features a convertible dinette living/sleeping space and a kitchen including a gas hob, oven, grill, fridge and freezer. Available as both pet friendly and none pet friendly.